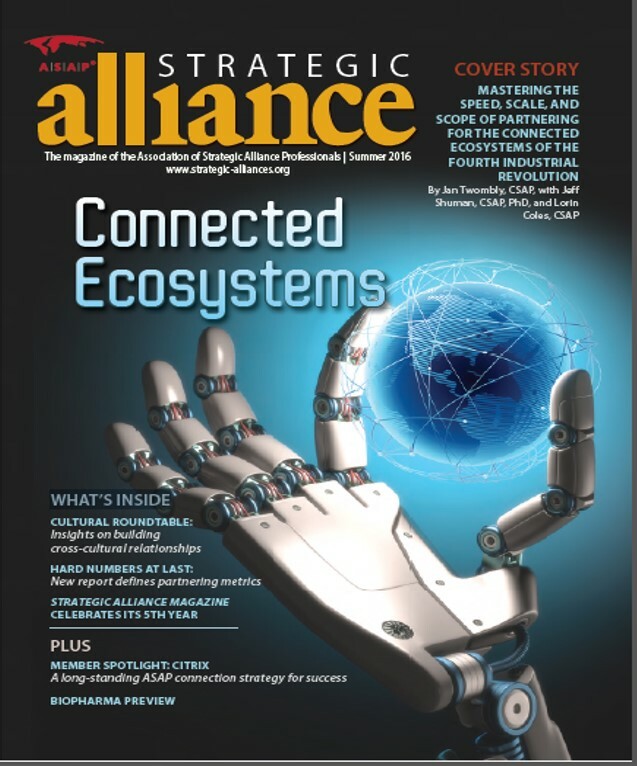 Our cover story article in the Summer 2016 edition of Strategic Alliance Magazine highlights some of the ways in which partnering practices must change to keep pace with the exponential rate of business transformation unleashed by the technologies of the Fourth Industrial Revolution. It necessitates rethinking the rules of partnering and taking an ecosystem perspective to building partnering capability. Those that don’t will be leaving value on the table at best – and at worst may find itself left behind.